A sub-unit inside an Nvidia GPU containing stream processors. Also contains a polymorph engine that performs tessellation, plus texture units and scheduling units for managing threads. The unit inside an Nvidia GPU containing streaming multiprocessors, splitting work into threads and assigning them to individual SMs. Applies textures to geometry rendered by the stream processors. The base unit of processing inside the GPU, arranged into either SIMDs (AMD) or SMs (Nvidia). These simple processors enable large-scale parallel processing of simple tasks – perfect for graphics. The unit inside an AMD GPU, each containing four individual SIMD Engines and four texture units, with an accompanying scheduler and caches. AMD’s name for a sub-unit inside an AMD CU, containing 16 stream processors each. ROPs recombine the render threads and post-processing effects before outputting the resultant frame to your display. The maximum amount of power a GPU can consume for its cooling system to dissipate the resultant heat. With price tags of $128.5 - $144.5, the GTX 650 1GB and HD 7750 1GB are tempting for those on tight budgets, but spending a little more gets you a substantial speed increase that makes these budget cards a poor choice. 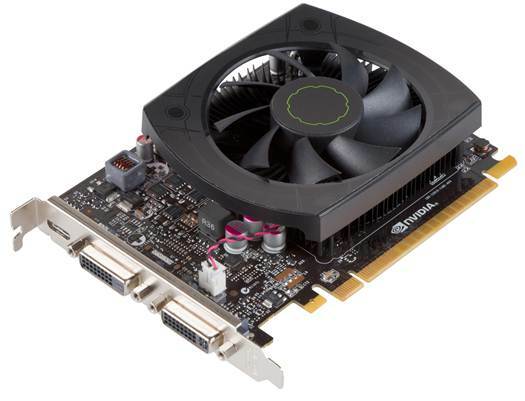 The GTX 650 1GB uses a scaled-down Kepler based GPU the GK107. It comprises a single GPC with two SMs for a total of 384 stream processors and 32 texture units, with the GPU running at 1,058MHz. There’s also just a pair of 64-bit memory controllers, resulting in a 128-bit memory interface, with 1GB of GDDR5 running at 1.25GHz (5GHz effective), producing a peak memory bandwidth of 80GB/sec. The HD 7750 is similarly lightly equipped. Eight CUs means a total of 32 SIMDs, 512 stream processors and 32 texture units, all running at 800MHz. A 128-bit memory interface is matched with 1GB of GDDR5 running at 1,125MHz (4.5GHz effective) for a bandwidth of 72GB/sec. The 64W GTX 650 1GB requires a 6-pin PCI-E power connector, while the 55W HD 7750 1GB only needs the PCI-E slot. Of course, you can’t expect silky-smooth frame rates for $144.5, but the drop-off from cards 50 per cent more expensive is steep. In the Unigine benchmark, the GTX 650 1GB is marginally faster, with a score of 582 compared to the HD 7750 1GB’s 536, but in real-world games, there’s little difference between the two. In Skyrim at 1,920 x 1,080 with 8xAA, both cards managed a playable frame rate of 27fps, although neither card achieved playable frame rates in Crysis 2 or The Witcher 2. The only game that demonstrated any major difference was BF3, where the GTX 650 1GB’s minimum of 20fps at 1,920 x 1,080 was 15 per cent faster than the HD 7750 1GB’s 17fps. Regardless, neither card can play most games at their best at 1,920 x 1,080, so you’ll need to lower the settings, which isn’t what you want from a new GPU. While their low prices might be tempting, these cards are underpowered. 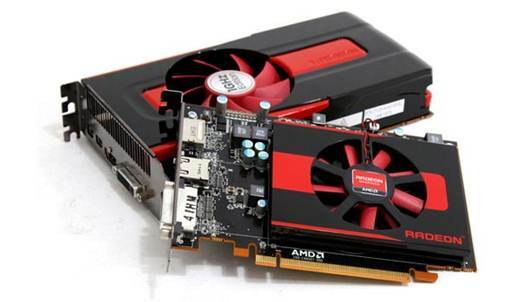 The Radeon HD 7850 2GB offers a genuine doubling in minimum frame rates for $80.5 more, making it a far more worthwhile and future proof purchase.